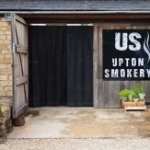 Located down a country lane just outside medieval Burford in the rolling Cotswold countryside, Upton Smokery is a fabulous farm shop and family business run by Chris and Vix Mills, specialising in smoked meat, game and fish and an amazing range of local produce. Their traditional process in the smokery involves salt curing, chilling, slow and cold smoking, then hot smoking to finish. 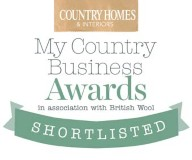 To give a distinct smell and flavour, oak, beech and sometimes apple wood is used. 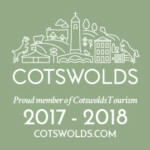 At Cotswold Village Rooms we think they are pretty perfect as they don’t use any artificial colourings, flavourings or preservatives in any part of the process and only use the best, high quality ingredients. Other delicious foods, including pates, pies, local cheeses, seasonal garden fruit and vegetables, wine, jams, chutneys, oils and vinegars from a host of local producers are also stocked – do take some time to visit and shop – it’s a delight! 1. Place the smoked haddock in a pan and pour over the milk. Bring to a simmer and gently poach for 2 minutes until just cooked. Lift out the haddock, remove the skin and flake haddock onto a dish. Reserve the milk. 2. Melt the butter in a small pan, then stir in the flour for 1 minute. Gradually whisk in the reserved milk, followed by the ale or beer. Cook, over gentle heat whisking all the time, until the sauce is thickened and smooth. Stir in the mustard and most of the cheese and season with pepper. 4. Top each slice of bread with the creamy haddock sauce, scatter with the remaining cheese. Grill until golden and bubbling.